IBPS or Institute of Banking Personnel Selection Board has finally released the much awaited IBPS Calendar for the upcoming IBPS Exams namely IBPS PO 2019, IBPS Clerk 2019, IBPS RRB 2019 & IBPS SO 2019. Candidates can check the New Exam Dates & Schedule for the upcoming IBPS Exams for the year 2019-20 below. IBPS is an integral body that recruits eligible candidates to the post of PO (Probationary Officer), SO (Specialist Officer), Clerk etc. in various Public Sector Banks across the country. Mentioned below are tabulated form of the latest Exam Dates and Schedule of all IBPS 2019 Exams. 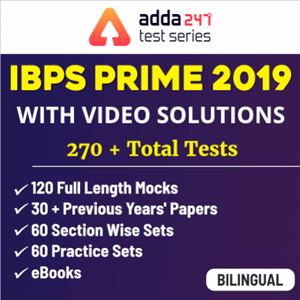 Check the dates and start your early preparation for the exam if you want a sure selection in the upcoming IBPS Exams 2019.